While there will forever be new movies released into the theaters or onto DVD that gain attention and amuse fans, there are only the select few that will always be known as the ones that delight generation after generation. The one name that knows that all too well is the one and only Disney, and today they are releasing one of the absolute classics for the first time in high definition with new breathtaking picture and sound restoration: Disney's The Little Mermaid: Diamond Edition. Is there anyone that doesn't know this magical tale? In The Little Mermaid, Ariel (voiced by Jodi Benson), is a free-spirited mermaid who is off on the adventure of a lifetime with her best friend, the adorable Flounder (voiced by Jason Marin), and the reggae-singing Caribbean crab Sebastian (voiced by Samuel E. Wright) at her side. But it will take all of her courage and determination to make her dreams come true — and save her father's beloved kingdom from the sneaky sea witch Ursula (voiced by Pat Carroll). With unforgettable characters, thrilling adventures, soaring Academy Award-winning music (1989: Best Music, Original Score, and Best Music, Original Song, Under The Sea. 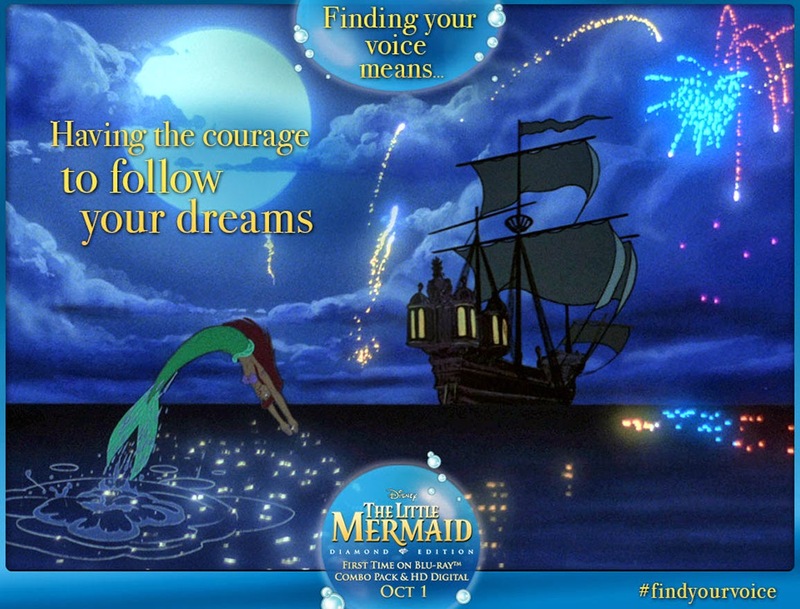 ), The Little Mermaid is one of the most celebrated animated films of all time. Now, as it is spectacularly transformed for the first time on Blu-ray with digitally restored picture and brilliant high-definition sound, it is even more amazing to venture under the sea where Ariel longs to be part of the human world. Whether you're a fan, a collector or are new to the tale of The Little Mermaid, this is one combo pack that you're going to want to add to your collection! 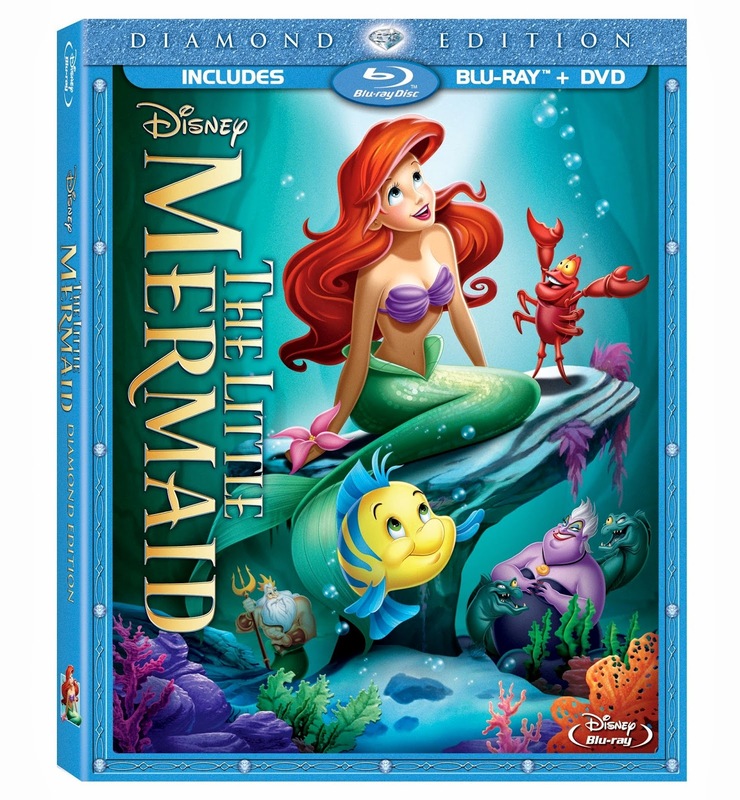 With a running time of approximately 83 minutes, The Little Mermaid: Diamond Edition Blu-ray Combo Pack is available now in stores near you, from Disney or on Amazon. You can also keep up with all things Ariel by connecting with The Little Mermaid on Facebook and Twitter. Want to get in on the action and fun even more? Explore your family's musical side with instructions on how to make homemade guitars and maracas, hone your songwriting skills with a mad libs version of "Part of Your World" and then test your knowledge with the Who Sang That? Little Mermaid Quiz! 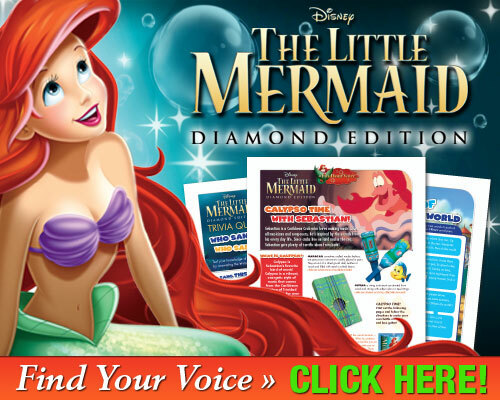 Other than The Little Mermaid: Diamond Edition that I was provided, I was not compensated or enticed to do this review in any way. This post is solely my honest opinion about this product. yay cant wait to go out and buy it ! :) excited! I saw it in the stores and thought I should get that and got distracted by something else and forgot it. I so need to get them before they are gone. Thanks for the reminder.